From the ShowingTime App, they have the option to choose how they are notified of showings or requests for showings. Push - Our app will display a notification on the seller's device. Email - The details and link to see more information will be sent to the address entered. Text Message - A short message will be sent to their cell phone number, and will provide a link to click to see more information. Call - An automated call or an appointment specialist will contact the seller to let them know the details of the request. 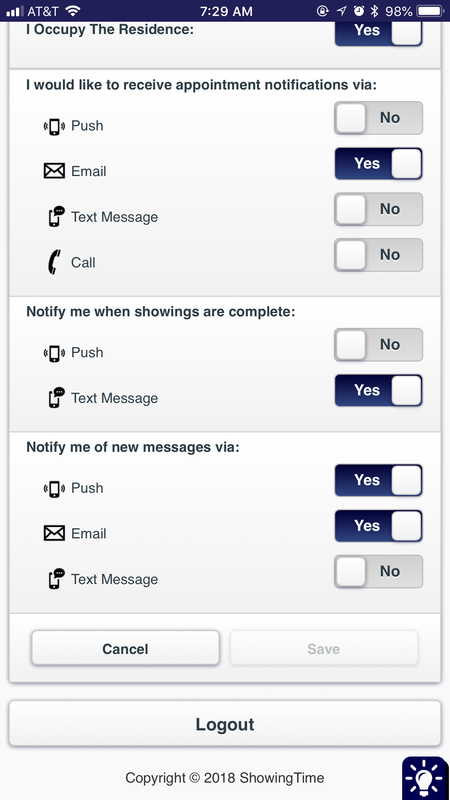 When the showing is over, they can choose to be notified by a push message or a text message. From the Listing Worksheet, you can set up your seller's notification preferences. 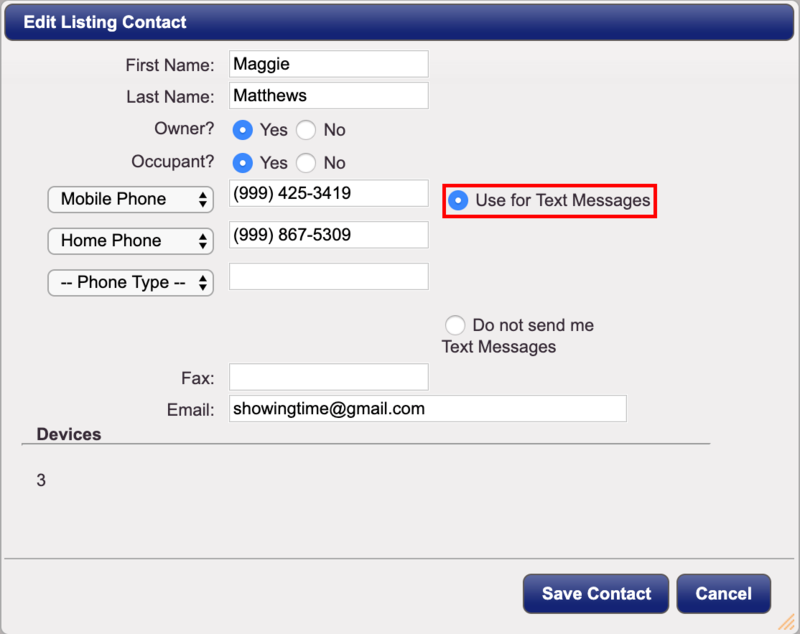 Be sure to enable the cell phone number for Text Messages to give the seller the option for SMS.